It is useful if you have products with attribute falling under some range, like width from to or weight from to etc. You can create two Price type attributes like min_weight and max_weight and combine both in one slider of type Min/Max slider. 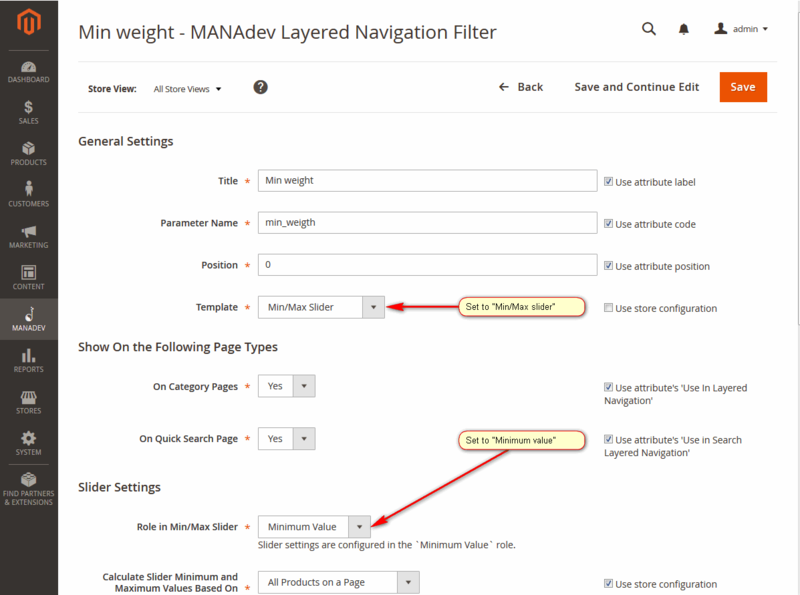 Go to menu MANADEV -> Filter Settings on the left sidebar and open the one which is going to play Minimum role in the slider or in other words - left range of slider. 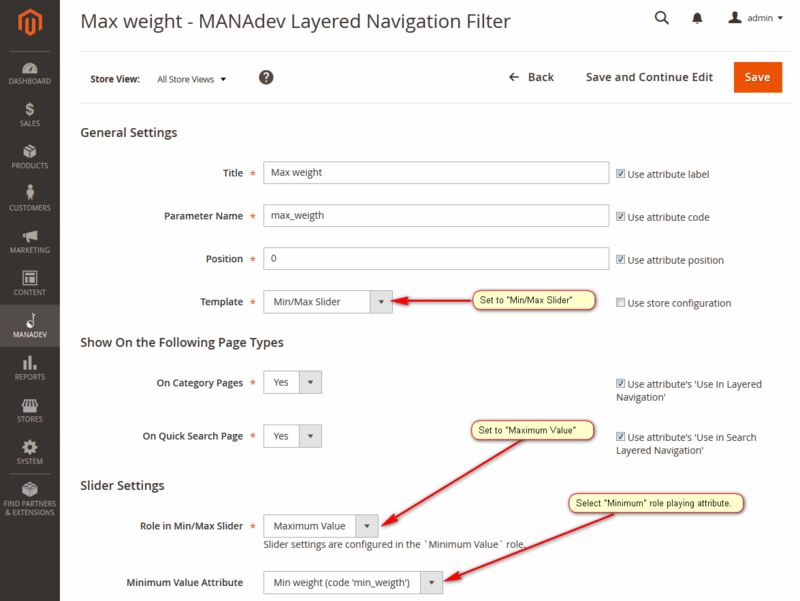 Set template to Min/Max Slider and Role in Min/Max Slider set to Minimum Value. Save it. Then open the attribute which is going to play Maximum role in the slider and set template to Min/Max Slider and Role in Min/Max Slider set to Maximum Value and in Minimum Value Attribute dropdown pair it with Minimum role playing attribute. Save it.